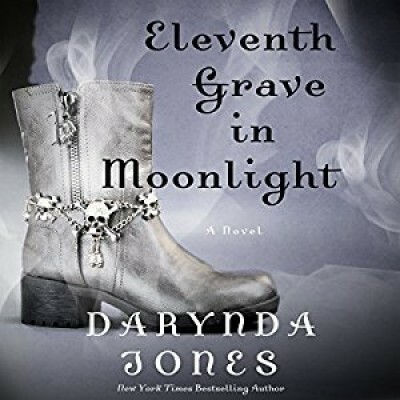 Series narrator Lorelei King returns to narrate Eleventh Grave in Moonlight, the latest installment of Darynda Jones' New York Times best-selling paranormal series. A typical day in the life of Charley Davidson involves cheating husbands, errant wives, missing people, philandering business owners, and, oh yeah...demons, hell hounds, evil gods, and dead people. Lots and lots of dead people. As a part-time private investigator and full-time grim reaper, Charley has to balance the good, the bad, the undead, and those who want her dead. Now Charley is learning to make peace with the fact that she is a goddess with all kinds of power and that her own daughter has been born to save the world from total destruction. But the forces of hell are determined to see Charley banished forever to the darkest corners of another dimension. With the son of Satan himself as her husband and world-rocking lover, will Charley be able to defeat the ultimate evil and find a way to have her happily ever after after all? 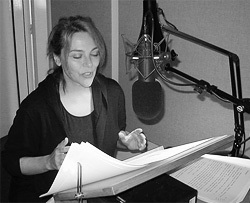 A really fun thing about doing this book was making yet another young recording engineer blush!